Constructed of extruded, CNC-machined, and heat treated aluminum to achieve a lightweight design. Strong aluminum ribs secure bottle while providing simple on the bike access. An upper bottle catch ensured bottles stay in place. This cage is designed without an integrated pump bracket for an even lower profile for better fit on small frames. Ovalized mounting holes allow for adjustable mounting on frames. Waterproof, lightweight, semi-rigid Caddy with QR mounting system. High frequency durable construction. Wide opening, water tight roll-up design, to keep contents dry. Velcro straps for easy access. Reflective light loop aids rider visibility at night. A complete convenient kit for the rider with simple reliability in mind, with a Sport Drive HP hand pump, RAP 6 multi-tool, Smart Kit for tire repair and Matrix Levers in one of our best-selling M Caddy organizers that tucks neatly under your bicycle seat. Be parepared with all the essentials needed for an unexpected repair whether you're out on a long weekend jaunt or daily commute. 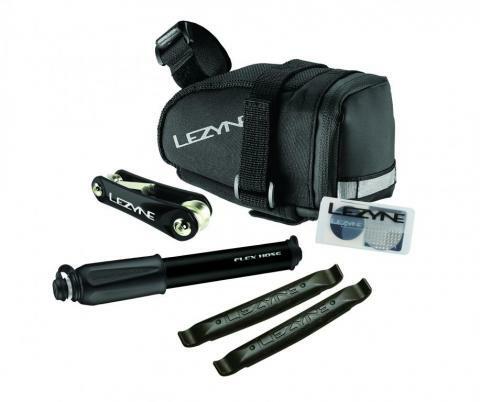 A complete convenient kit for the rider with speed in mind, with a Twin Speed Drive CO2 inflator, two 16g CO2 canisters, a RAP 6 multi-tool and Matrix Levers in one of our best-selling M Caddy organizers that tucks neatly under your bicycle seat. Be prepared with all the essentials needed for a competition or any situation where a quick repair and tire inflation is a must. 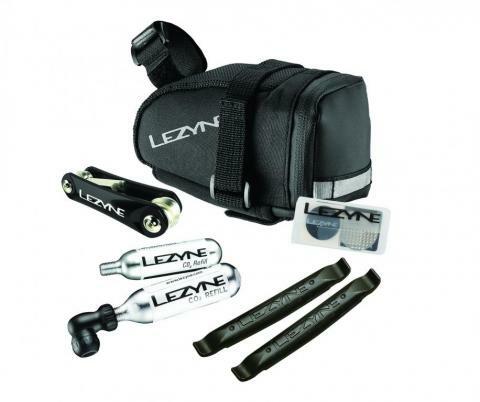 The Lezyne Road Caddy is a compact caddy made of durable nylon fabrics that tucks nicely under your saddle. 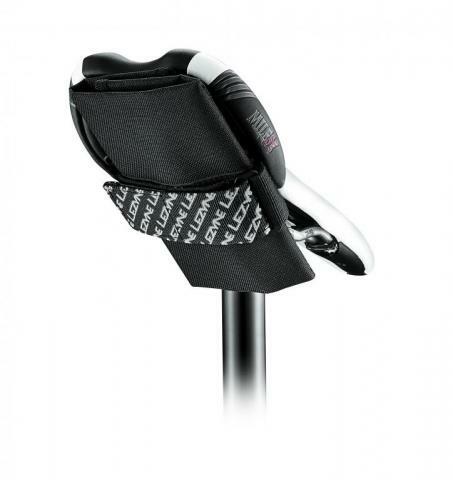 A large nylon strap secures the caddy to the saddle rails. The Road Caddy features a water resistant zipper with a finger loop, a clamshell design that opens to provide easy access, and an elastomer internal pocket for storage. Reflective logos and a rear light loop aids rider visibility at night. 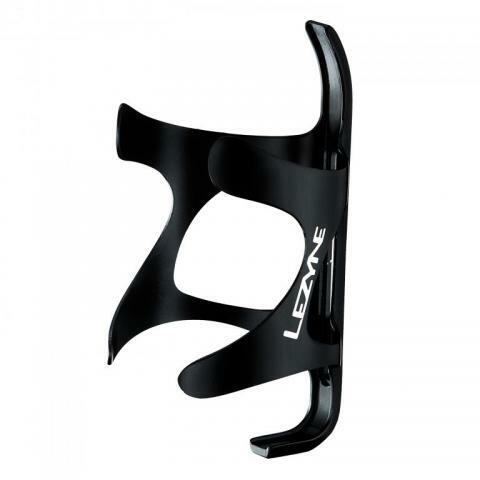 The Lezyne Phone Caddy is a highly versatile, lightweight and compact organizer designed to hold modern smartphones and ride essentials in a jersey, pocket, pack or on a belt. The nylon fabri, zipper, and quick-pull loop are lightweight and water resistant. The main compartment is divided and foam lined to hold personal items, most smartphones and mp3 players. A seam welded, clear back panel is touchscreen compatible providing access to the mobile device inside. An external port provides routing for headphones. 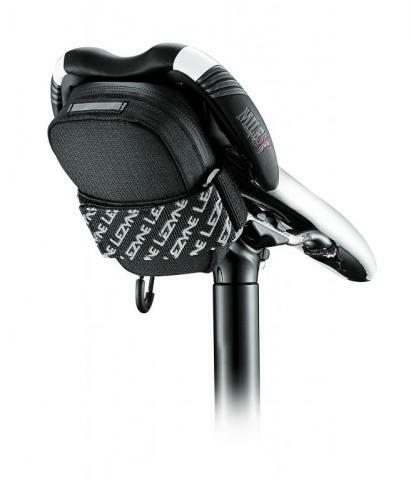 The Lezyne Smart Energy Caddy is a lightweight, semi-rigid, top tube mounted smart phone caddy made from molded EVA foam halves with a durable woven nylon cover. Its clamshell pod design opens to provide easy access, and a mesh divider helps keep items in place. The Smart Energy Caddy's smart phone pocket holds any popular 4-5" phone model, and features a clear touch screen compatible panel for full control of your phone. Three velcro straps attach your caddy to your bike's top tube.